Celebrate fresh and flavourful salads perfect to serve in the warmer months! There’s no limit to what we can call a salad these days and the idea that it needs to be served cold is a distant memory. The best combination of ingredients is seasonally-driven and matched with a wine with the appropriate weight and texture. Red drinkers are not left out, but opt for a lighter, more aromatic variety served with warm salads that include meat. 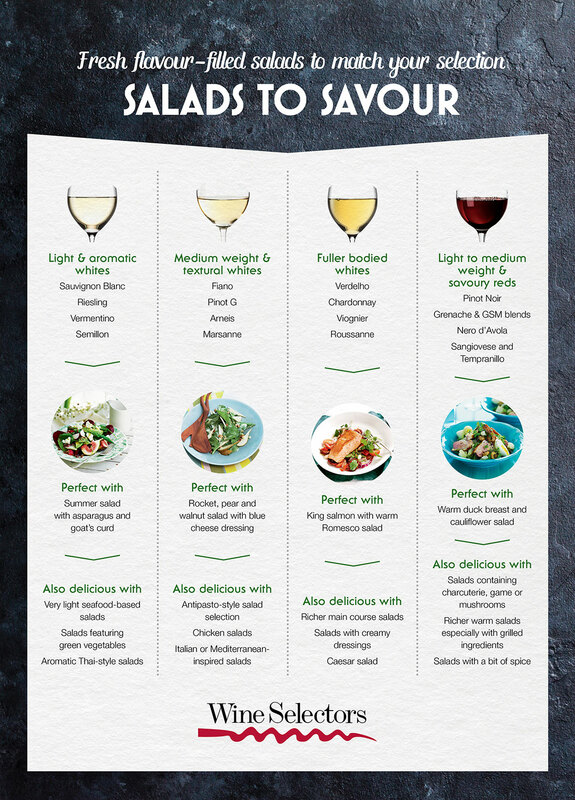 Don’t forget that the dressing is an important consideration, with the light and zesty styles best matched with lighter wines and the creamier options best paired with wines with a bit more weight and appealing acidity.